"I started my career with Premier Travel in 1982 at the Huntingdon branch, and was based there for 17 years working up to Branch Manager. Since having a family, I have worked part-time at the St Ives branch as a Senior Travel Consultant for the past 17 years." "I have been lucky enough to travel to many places over the years including the USA, Caribbean, Dubai, South Africa, Mauritius, the Seychelles, the Maldives, Singapore, Hong Kong and lots of Europe including city breaks. 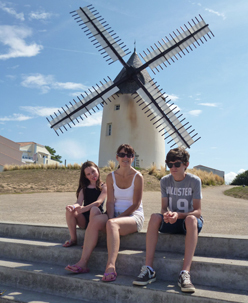 More recently we have had our holidays in the UK and Europe including Greece, France and Portugal, which have been equally as exciting as the more exotic destinations." South Africa for the experience of going on Safari at Sabi Sabi, (an amazing private game reserve) topped with great food, wine and scenery – it was all incredible. Western USA for the outstanding scenery at places like Xyon national Park, Bryce Canyon and the Grand Canyon - they are truly beautiful. The Grenadines for the white powder beaches, clear blue seas and tranquillity; all the things you think of for an idyllic holiday." "I'd really like to go to Croatia – I really want to see Dubrovnik and do a bit of island hopping, and I have always wanted to experience the magic and mystery of Machu Picchu in Peru." "I always try to understand what their requirements are, so I feel that I'm selling them the right thing for them." "Pack as lightly as possible – then you can bring loads more back with you!" "After all these years I still enjoy the satisfaction of helping people with their holiday plans, especially if it involves piecing together complex itineraries."